The bright stuff for punching up anyone's mood! 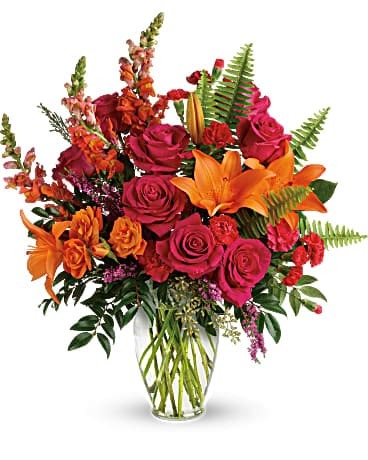 Bring happiness to any day with this bold, sunset-inspired blend of hot pink roses and orange lilies in a classic glass vase! 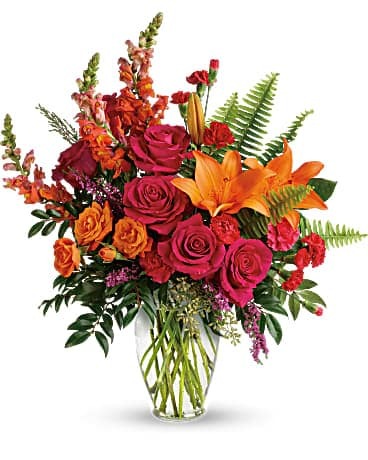 Due to seasonal availability of floral supplies and flowers both, some substitutions may be necessary from time to time to complete an arrangement. 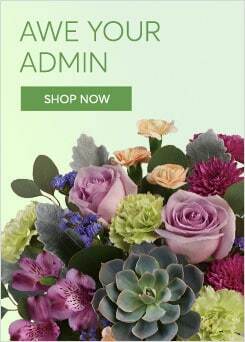 We will make every effort to match the images represented on the web site, but because of these seasonal issues please be sure to indicate a second choice when placing your orders and understand our obligation to make some substitutions when necessary. Thank you.